Browning brings nearly 30 years of automotive experience with him to VW. Former General Motors Co. global sales boss Jonathan Browning has joined Volkswagen AG as global head of the 10-brand group's national sales companies. “The Volkswagen Group has recruited an excellent sales and marketing expert in Jonathan Browning, who will bring outstanding international experience to directing the national sales companies,” VW Group sales and marketing chief Christian Klingler said. Browning, who will be based in Wolfsburg and report to Klingler, started the new job June 1. As part of that realignment, Luca De Meo, 42, has been promoted to head of marketing for all brands in the VW Group, which includes Audi, Bentley, Lamborghini, Skoda and Seat. He will continue to be executive director of marketing for product and communication at Volkswagen passenger cars. De Meo joined VW from Fiat last August. De Meo started with VW last August after leaving Fiat S.p.A., where he was chief marketing officer as well as CEO of the Alfa Romeo and Abarth brands. 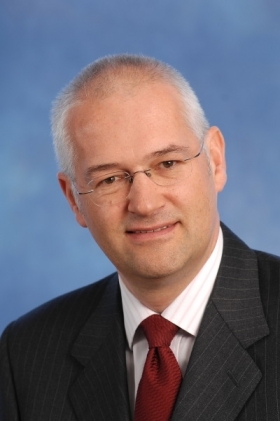 • VW has named Fred Kappler, 52, head of global service coordination. He adds that title to his role as head of genuine parts sales. • VW said retail operations have been taken over by Peter Maiwald, 49, and Henri Struebing, 45, who will continue to serve as managing directors at Volkswagen Retail GmbH. Browning brings nearly 30 years of automotive experience with him to VW. He resigned as head of GM's global sales, service and marketing last summer and left the company in October “to pursue other interests," GM said in a statement at the time. Browning, 50, started as vice president for global sales, service and marketing in June 2008. Before that, he was chairman of GM-owned Vauxhall Motors Ltd. and vice president of sales, marketing and aftersales for GM Europe. The new structure will be gradually phased in, starting from June 1, 2010. The measures focus on the central pillars of Group marketing, Group sales coordination, Group sales strategy, Group Fleet International, coordination of worldwide sales companies, genuine parts and service as well as the Volkswagen retail business. Jonathan Browning (50) will be strengthening the Group's international expertise. Browning held executive posts at several brands in the GM Group, most recently as Vice President Global Sales, Service and Marketing at GM. He directs the National Sales Companies (NSC) worldwide, thereby boosting the coordination of the international sales companies from his base in Wolfsburg. Luca de Meo (42), currently Executive Director Marketing Product and Communication at Volkswagen Passenger Cars, will additionally assume responsibility for Group Marketing. Fred Kappler (52) takes charge of Global Service Coordination and continues in his function as Head of Genuine Parts Sales. Holger B. Santel (41) retains responsibility for Group Sales Coordination. Own Retail operations are taken over by Peter Maiwald (49) and Henri Struebing (45) in addition to their managing director functions at Volkswagen Retail GmbH.